17 April 2013 – Today, the Russian Interior Ministry announced that it intends to seek a warrant to arrest Bill Browder, CEO of Hermitage Capital Management. The hearing to seek the warrant will take place at the Tverskoi District Court in Moscow at noon today. They will seek the arrest warrant in relation to spurious charges of “stealing” Gazprom shares in late 1990’s-early 2000’s and “interfering” in Gazprom’s strategic policies. The materials for the case have been separated by the Russian Interior Ministry from the trial of Sergei Magnitsky, the first-ever posthumous trial in Russian history. This new case was opened a month after the Russian President Vladimir Putin promised to “delve deeper” into the Magnitsky case at a press conference on 20 December 2012, where he was questioned seven times about the Magnitsky affair and the ban on US adoptions of disabled Russian orphans, which was the official Russian Government response to the U.S. Magnitsky Law. This will be the second known case of an ‘in absentia arrest warrant’ in relation to a Westerner in Russia. The first was in relation to a Spanish national under a Yukos case. This is also the first case in Russian history in which the authorities seek to impose criminal penalties on purchases of Gazprom shares by foreigners from a decade ago. The Russian Interior Ministry charges relate to the presidential decree of 1997, which imposed specific restrictions on the way foreigners could own domestic shares of Gazprom at the time when Gazprom had two types of shares available. The decree did not stipulate any criminal liability, and all restrictions on Gazprom ownership were lifted in 2005 when Gazprom moved to a single class of share. The charges contradict the official Russian Government confirmation of the legality of Gazprom ownership structures that were widely used by all major market participants in Russia a decade ago. Gazprom itself set up such a structure with Ruhrgas, and promoted it. “The retroactive and arbitrary application to one market participant of a criminal standard in relation to a practice that is considered lawful for all other market participants is the hallmark of a politically-directed abuse of justice in this case,” said a Hermitage Capital representative. The case itself has no legal prospect because there were never any criminal sanctions for owning Gazprom shares. The Russian Interior Ministry alleges that Hermitage purchased Gazprom shares in order to “interfere” in Gazprom’s policies, gain information on its activities, get elected to the board, and influence the company. “Indeed, we tried to influence the company so that Gazprom management stopped stealing billions of dollars worth of assets and cash flow. It is amazing that the Russian government never wanted to stop the stealing itself,” said Hermitage Capital. This latest move is a marked escalation in the retaliation against Magnitsky sanctions which were imposed last Friday, on 12 April 2013, by the US Government as part of the implementation of the Sergei Magnitsky Rule of Law Accountability Act signed by U.S. President Barack Obama on 14 December 2012. 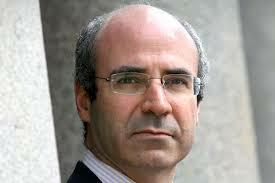 The move follows a coordinated Russian state propaganda campaign in the last three months, where all Kremlin-controlled TV channels, including NTV, Rossiya, and 1TV ran slanderous programs accusing Mr Browder of murders, stealing IMF money in 1998, causing the Russian default, stealing Gazprom shares, and being a UK spy.